CASHE LLC - Helping you to comply with OSHA and EPA! 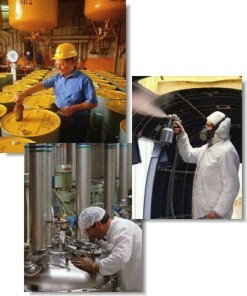 Helping you to comply with OSHA and EPA! We provide in Puerto Rico and US the Environmental, Safety, Health, and Security (EHSS) expertise, guidance, and resources to work in partnership with your business to ensure fully benefit from our Team of Highly Qualified & Certifieded Environmental, Health, Safety, and Security Consultants who have many years of practical experience. Our EHSS consultant's responsibility to the client is to provide Innovative Solutions Our Environmental, Health, Safety, and, Security to enhance EHSS Program for Continuous Improvements. Our certified professionals will come to your site, evaluate the Health, Safety, Security, and Environmental Aspects to recommend Corrective and Preventives Actions (CAPAs) to be in compliance with Federal and Local Laws. As an employer, you are concerned about the Continuous Improvement to maintaining productivity, efficiency, and employee morale. Companies that institute a comprehensive Environmental, Health, Safety and Security Program are amazed at the positive effects on the company's business and employee attitudes!